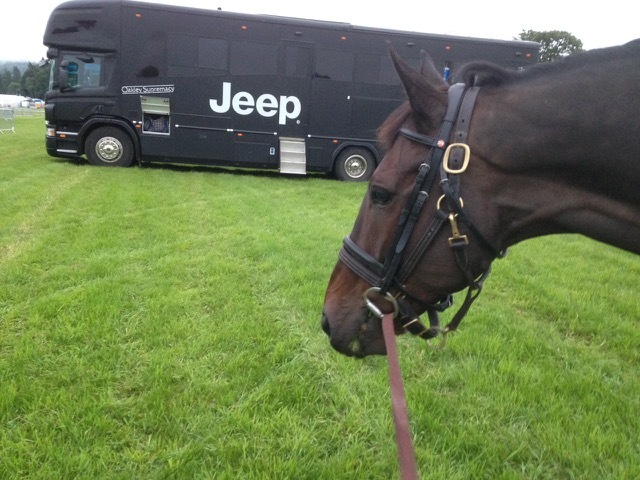 Team Fox-Pitt and Bay My Hero have arrived at Blair. The journey went well, taking them just under 11 hours, allowing for a leg stretch for Moonie en-route. The first horse inspection is at 3pm tomorrow, and the running order will be announced after this. Dressage starts on Thursday and Friday at 10.20am and all three phases can be watched live on FEI TV - http://www.feitv.org/live. Cross country is being shown live on the BBC Red Button on Saturday, with coverage starting at 10.50am. This is also on Sky channel 980. On Sunday, the show jumping is being shown live on BBC Online from 11.20am - 12.55pm and from 1.55pm - 4pm. On Monday highlights are being shown on BBC2 - 1.45pm - 3.45pm. If you are unable to walk the course at Blair, the course builder Ian Stark has done a virtual course walk - http://www.blair2015.com/virtual-course-walk/. Click on the fence numbers on the map to see photos and hear Ian Stark’s thoughts.